Royal Enfield have opened a new store this week at Thatto Heath in St Helen’s, Merseyside, in an attempt to expand their dealership network in the UK, and offer riders another place to immerse themselves in the brand. This fourth store comes hot on the heels of the firm’s three new concept stores, the latest of whcih can be found in Watford, which followed previously launches stores in Bethnal Green and Mitcham, Surrey. 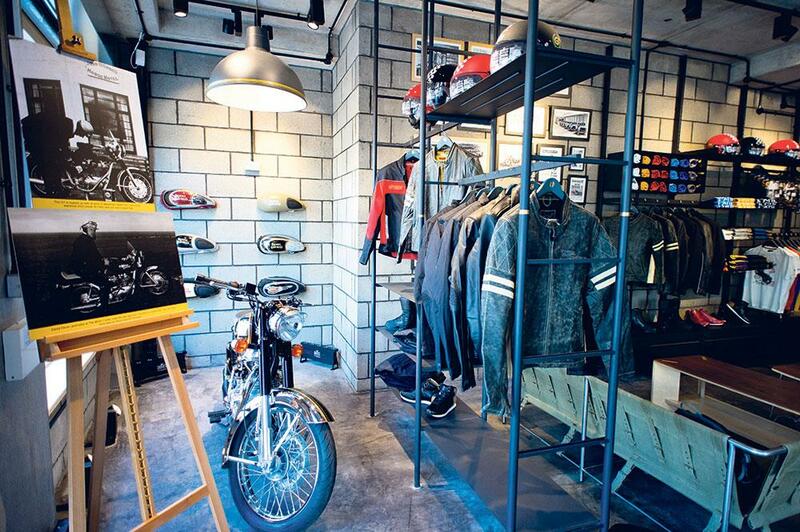 The newest dealership will sell the firm’s full range of bikes and new range of apparel. Royal Enfield CEO, Siddhartha Lal, says that they are on track to build 670,000 motorcycles this year. Alongside this new chain of stores, Royal Enfield are also developing a new R&D cenre in Leicestershire, which should be operational by early 2017. Although no manufacturing will take place at the facility, the evolution of Royal Enfield motorcycles for international markets will take place from its Leicestershire base.